Every other Friday you can join in one of Bournemouth’s most popular Quiz nights and help raise money for charity. So far we have been able to raise £1500 for Julia’s House. 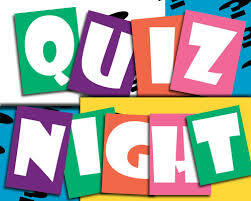 For just £2pp (maximum of 6 per team) test your wits and have a great night. Don’t bother eating before you come because Jim sets up a fantastic spread of food for you to choose for just £6.50. To book a team on our next night visit www.serensquizzes.org.